Information is one of the key ingredients at Moore Transport. Through the use of technology, we provide our customers superior information in real-time. 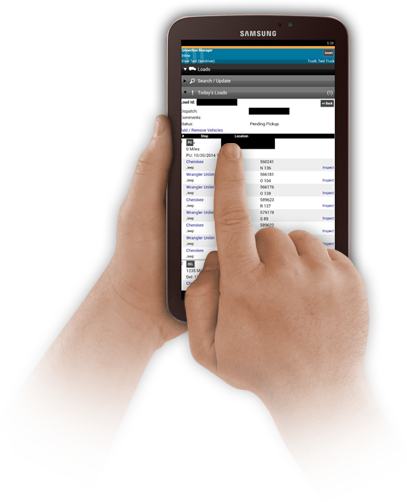 Our transportation management system (TMS) allows our customers the ability to send and receive information in real-time. We’ve invested in the integration of hand-held devices that 100% of our fleet utilizes for electronic proof of delivery (EPOD) therefore allowing our customers to have more precise delivery information. The EPOD allows them to, in turn, invoice their customers faster. In a recent study, customers participating in the EPOD system were able to bill their customers within 2 hours or less after the actual delivery occurred. Moore Transport has invested the capital necessary to be on the leading edge of in-cab technologies. Through their utilization, we are able to provide accurate information in real-time on routing, driver messaging, EPOD, fuel optimization, and hours of service, just to name a few. The technology team at Moore Transport has evolved from multiple industry disciplines that allow our organization to take the best practices that are available to all industries and then apply them to the transportation industry. At Moore Transport, technology is the key to providing accurate and timely information.